Our soup came with the hock of the pig, rather than the toes, as well as konbu, daikon, and mustard cabbage. 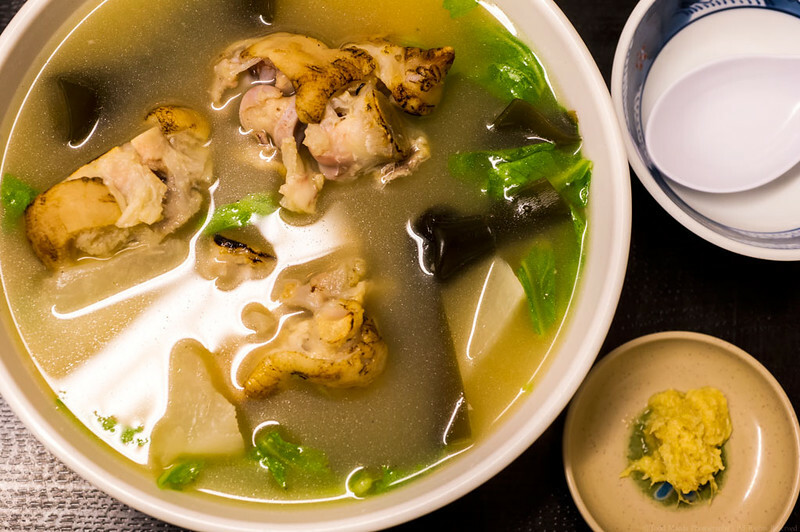 There was a nice flavor to the broth, from that wonderful richness that comes from collagen. It was lighter than I expected. There was also an accompaniment of hand grated ginger.